The Kinsman Ridge runs along the west side of Franconia Notch all the way from Kinsman Notch in the south, over Mt Wolf, South Kinsman, North Kinsman, the Cannon Balls, and Cannon before dropping down. 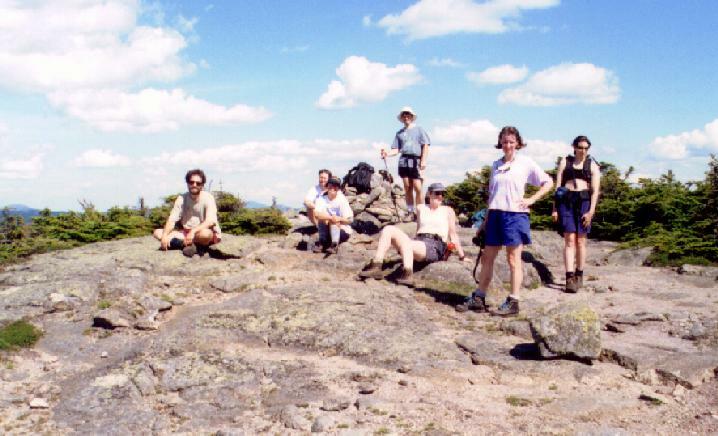 South Kinsman has a broad summit with views in all directions over the scrub and krumholtz. To get to South Kinsman, most routes also take you over North Kinsman. 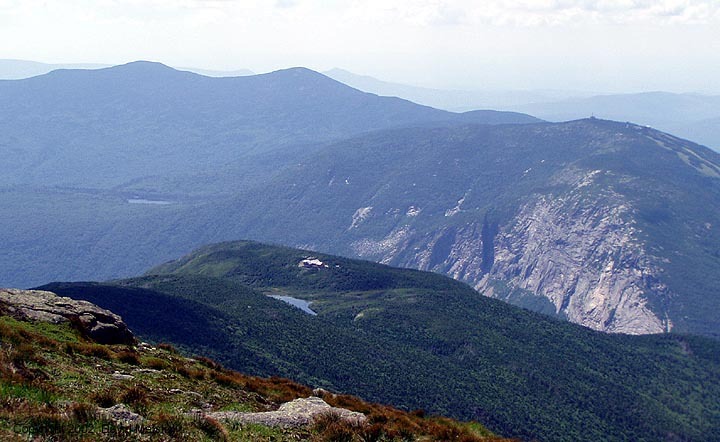 The most popular route leaves from Lafayette Place Campground in Franconia Notch taking the Lonesome Lake trail up to the lake, then following around the lake clockwise on the Cascade Brook trail to Lonesome Lake Hut. 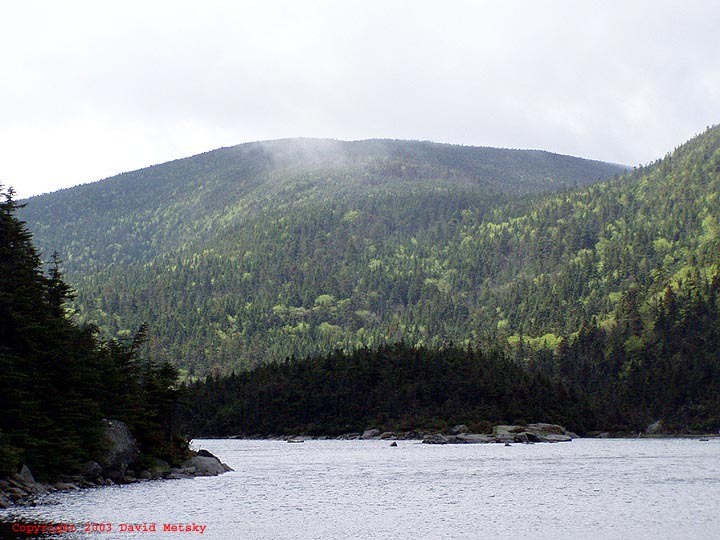 From there, take the Fishin' Jimmy trail to Kinsman Junction and the Kinsman Pond Shelter, then climb the Kinsman Ridge trail to the summit of North, continuing on to South. This route is 10.0 miles round trip. 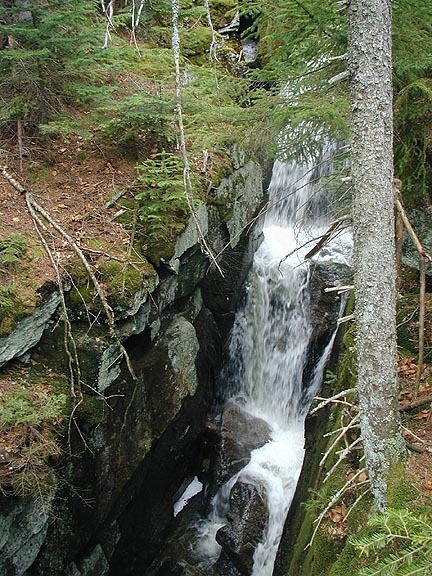 From the less populated west side of the mountain, the North Kinsman trail goes to the ridge from NH Rt 116, passing spur trails to Kinsman Flume and Bald Peak, both fine diversions. Then turn south on the Kinsman Ridge trail to the summit of North and continue on to South. This route is also 10.0 miles. The Kinsman Ridge trail is part of the Appalachian Trail for its entire length. 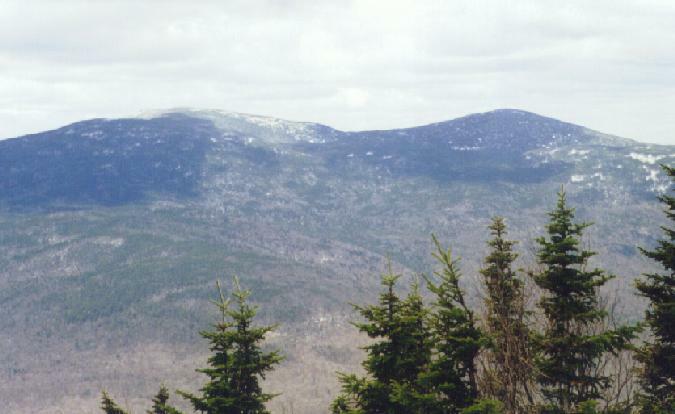 The mountain range was named after Nathan Kinsman, who settled in Easton after moving his family north from Massachusetts. 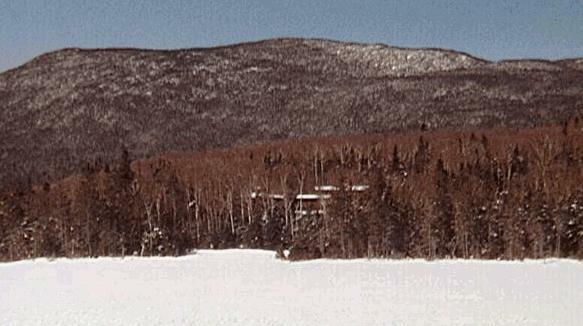 Lafayette Place Campground - The Lonesome Lake trailhead is in the center of Franconia Notch. Get on the Franconia Parkway (I-93) headed south, you may have to reverse direction at the Cannon exit. After exiting the highway at Lafayette Place, turn left and park in the hiker lot. There is no fee for parking here. NH Rt 116 - The parking area for the North Kinsman trail is right at the Easton/Franconia town line. Park along the side of Rt 116, there is no fee for parking here.